October saw some fantastic results from Split 50-50 raffles with over $7000 raised in total from 6 completed raffles. The largest of these raffles was the extremely successful Make a Wish Garden Party High Tea. 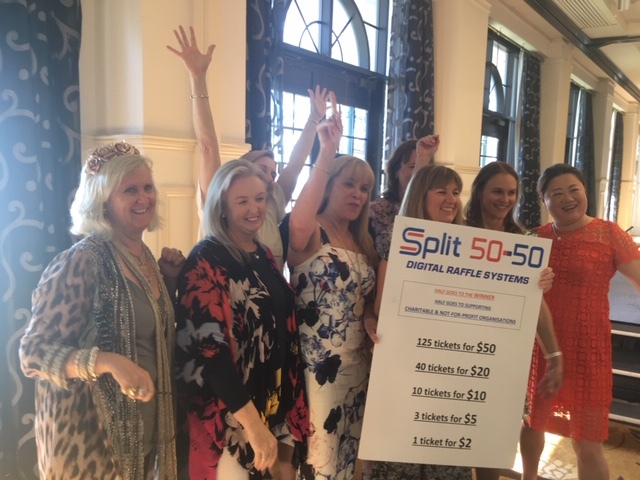 Make a Wish Adelaide ran a Split 50-50 raffle on the day at The Stamford Grand Glenelg, $3210 raised in total on the day with a very excited group of ladies sharing in $1605. Congratulations to Cheryl, Amanda, Feng, Lori, Pam, Jodie, Kathy, Sonia, Toni & Treena – a just reward for doing their bit to support one of the great charities. Flinders Park Football Club and Sacred Heart Old Collegians (SHOC) Football Club respectively wrapped up there football season in style, both having great results running Split 50-50 raffles. 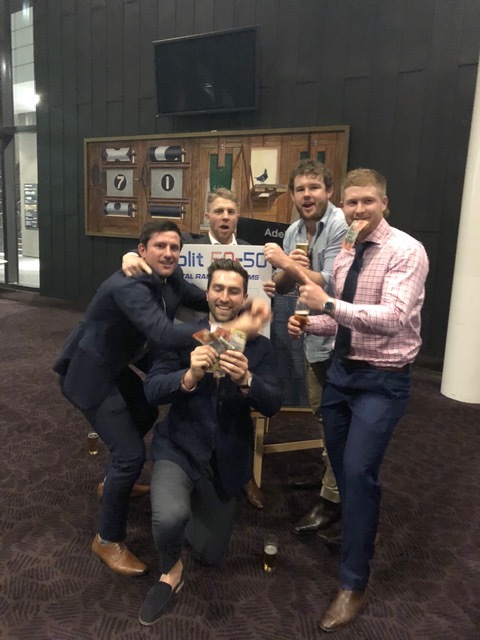 We love when a group who has gone in together to buy a chunk of raffle tickets gets the win, it tends to make a great photo and that is what happened precisely at The Flinders Park Football Club presentation. Congratulations to Daniel, Kerren, Chad, Mitch, Chad, Scott, Thomas & Jake! The boys took home $651 from a total of $1302, what a way to end there night, or quite possibly start it! Brent Roberts was victorious in the SHOC Football Club raffle. $719 was raised on the night with $359.50 going to Brent. A great way to finish off the season! Holy Family Catholic School had their Spring Fair on Sunday the 21st of October following on from last year’s successful Split 50-50 raffle. A great day all round, $953 was raised in total on a beautiful and extremely fun day in Parafield Gardens. 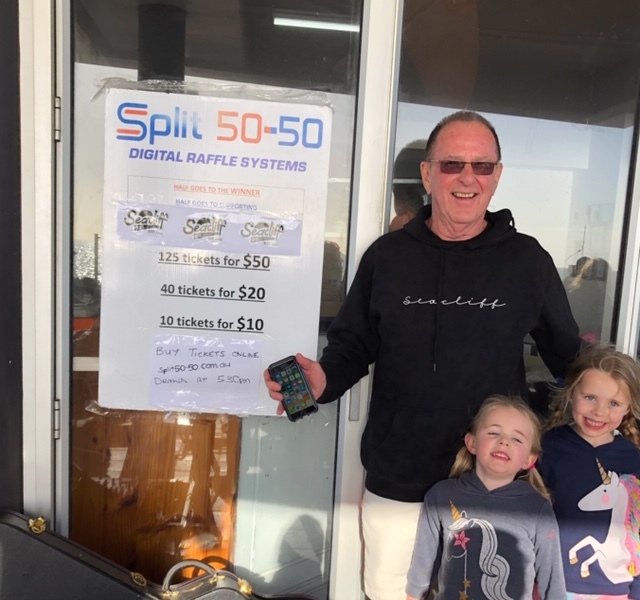 There are currently 2 live raffles on the Split 50-50 website: Club Holdfast currently have $222 in the pot; and Spalding Booborowie Cricket Club is kicking off their inaugural Split 50-50 Raffle to be drawn after the Orroroo game at Spalding on November 10th, there is currently $390 in the kitty. Each of the non-profit organisations would love your support if you’re in a position to lend a hand.